... 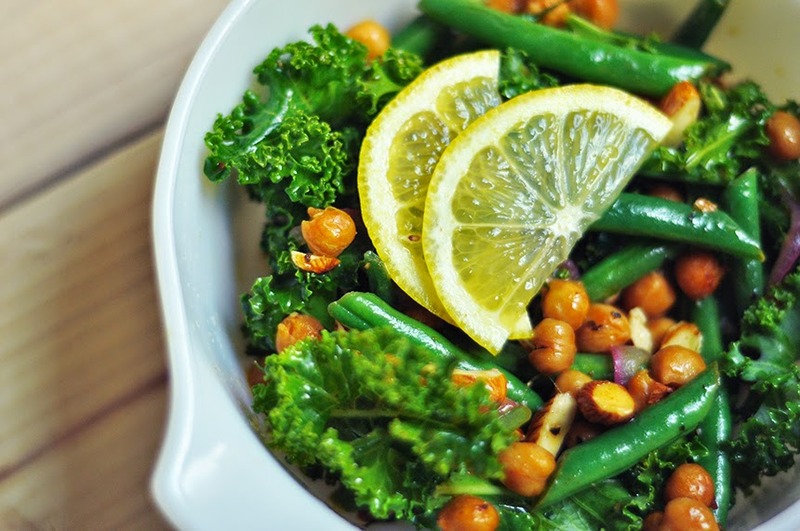 It would be a kale, haricot vert and chickpea salad. Enough jokes. Let's talk about the tastiest lunch you could make. It's dynamic in flavor and delightfully filling. • Wash the kale and set aside. Place the chickpeas on a cookie sheet to roast in the oven with desired spices. • Start to sauté the beans, for about five minutes. Add the onions and take off the heat. 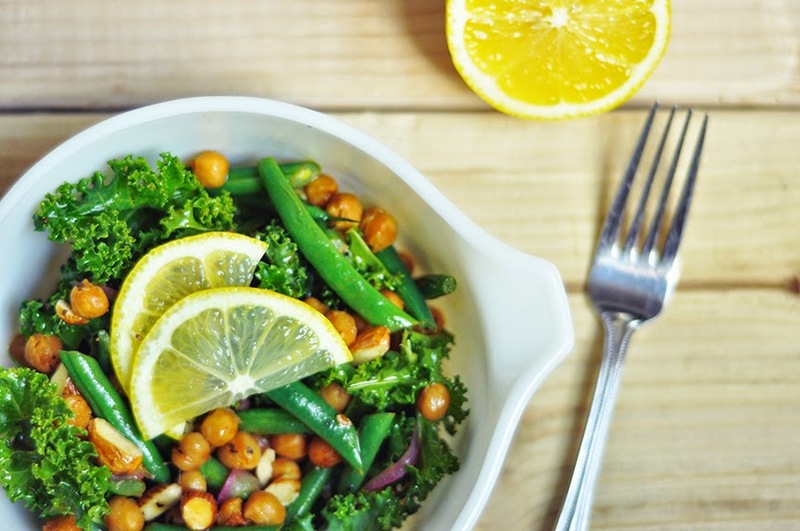 • Toss all the ingredients into a bowl and cover with the juice of half a lemon, the tablespoon of olive oil and the salt/pepper. • Toss until the salad is well mixed and evenly coated. wow yummy and so pretty!!! love wholesome salads like this! Oh yum!!!! This looks delish! Love how all the colors pop in this salad! 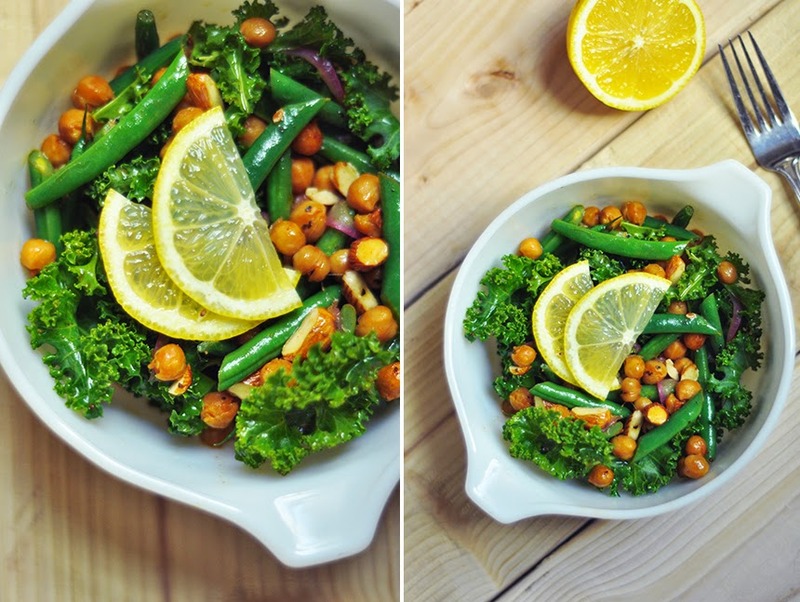 Kale and chickpeas - mmm!